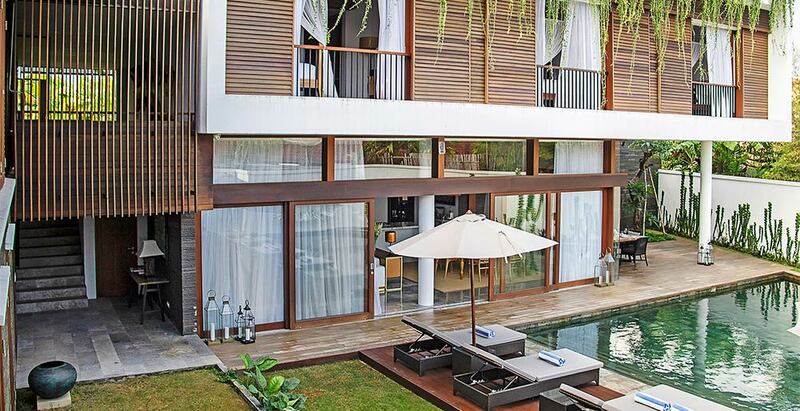 Villa Indrani is the perfect choice if you’re looking for a fully staffed stylish five-bedroom luxury villa in Canggu’s Berawa Beach. The villa’s elegant bedrooms, along with its spacious living areas and large open-plan kitchen, make this a superb option for a family with children or a group of friends. The beautiful courtyard pool and sun deck are great for lounging or enjoying a cocktail freshly prepared by one of the butlers. Located five minutes’ walk from the wide sandy beach and a variety of trendy coffee shops and restaurants in Berawa village, there’s plenty to keep everyone entertained.